Chalcedony (chal.ced.o.ny) is a cryptocrystalline form of quartz. 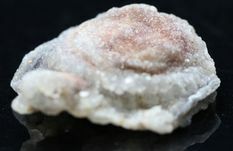 Cryptocrystalline stones are divided more by the character of the stone rather than its colour, such as the pattern of the crystal, the visual effect and the form that the crystal takes. 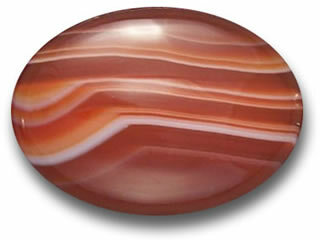 More information about the characteristics can be found in the Identify Agate and Jasper pages. Chalcedony is transparent to opaque depending on the structure and type of crystal for example agate is translucent while jasper is opaque. Blue chalcedony is a clear to translucent stone coloured by traces or iron, titanium, manganese or copper. Most blue chalcedony is more grey than blue. But when it displays a true blue it comes in a blue ranging from a violet-blue to sky blue or robin's egg blue. A creative stone, Blue Chalcedony imparts mental flexibility and verbal dexterity. It stimulates the ability to learn new languages and improves memory. Blue chalcedony gives you feelings of light-heartedness and optimism. This stone can improve your self-perception. Blue chalcedony assists the regeneration of the mucus membranes. This stone encourages the immunes system to be healthy and active. Blue Chalcedony has an anti-inflammatory effect and it will lower your body temperature and blood pressure. Heals the lungs and clears the respiratory system from the effects of smoking. Blue chalcedony is a creative stone, It opens the mind to enthusiasm and to new ideas and new horizons. This stone will clear rigid thought processes and open you to new possibilities. Blue chalcedony will increase your active listening skills and helps your ability to communicate effectively. It will help you to learn new languages and improve your memory. 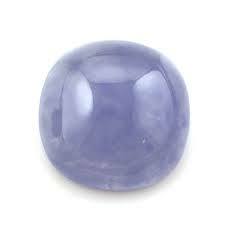 Blue chalcedony promotes peaceful assertiveness, peaceful well being and meditation. It will help when using speech, sound, and words to bring peace to any situation. Blue chalcedony will bring peaceful resolution to disputes. It will help political demonstrators, performers and activists maintain their peacefulness in violent surroundings. It will heal physical and non physical throat issues. Blue chalcedony gives you a feeling of having a lighter heart and an ability to look forward with optimism and it improves self perception. Physically blue chalcedony helps to ease diseases of the throat, ears and sinuses that occur due to weather changes such as hay fever and sinusitis. Blue chalcedony builds the immune system and stimulates the lymph glands. 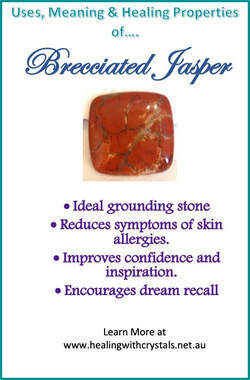 This stone is an all round healer of the lungs and respiratory system. Pink chalcedony is coloured pink by traces or iron oxide and manganese. Pink chalcedony often occurs in a globular, form known as chalcedony rose or chalcedony rosette. The rosette has a flat shape with rounded hills and valleys that may resemble the shape of a rose, The colours are mostly pink and white but also occurs in blue and lavender. Chalcedony roses are often coated with sparkling druse crystals. ​Some pink chalcedony's have light banding, dendrites or other inclusions. 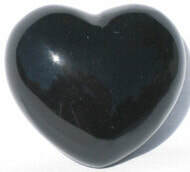 This stone encourages love, sympathy and kindness to yourself and others. Pink chalcedony brings out a sense of childlike wonder and willingness to learn new things. It is a creative stone that encourages story telling. Pink chalcedony is a spiritual stone that encourages empathy toward others and inner peace. It helps people with trust issues. Pink chalcedony promotes compassion, heart opening, and heart maturity. It honours the oneness of all life and the sacredness of all that lives. This stone will make you aware of the suffering of others and of yourself. Pink chalcedony enhances peace and harmony within, self blessing and women's self image. Pink chalcedony fortifies the heart and supports the immune system. ​Pink chalcedony helps with breastfeeding problems and stabilises the lymph system. 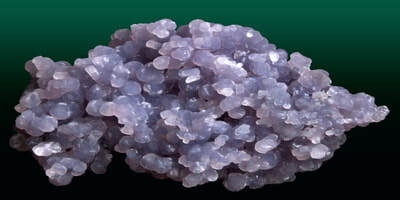 ​Purple/Lavender chalcedony is coloured by trace elements of manganese or iron oxide. 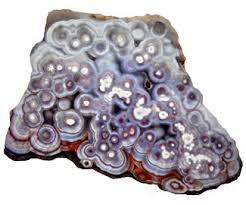 The botryoidal form of purple chalcedony is called purple grape agate as it resembles a bunch of grapes. Some purple chalcedonies have light banding dendrites or other inclusions. This crystal will help you to rid yourself of unwanted things in your life and not feel the loss at a later date. Purple chalcedony will assist you when the need arises to avoid messy emotional involvements that will cause distress to you and others in any relationship either personal or workplace. 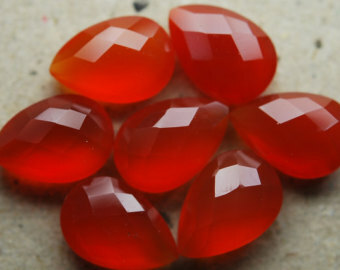 Red chalcedony gives you the strength of will and persistence to achieve your goals. It gives you the confidence to manifest your dreams. ​Red chalcedony stimulates the circulation without raising blood pressure and encourages blood clotting. It reduces hunger pangs, if you feel nauseous while using the stone to reduce hunger please discontinue use. Powerful cleanser of the body, mind and spirit. White chalcedony will enhance the healing of open sores anywhere on the open sores. This stone fosters the maternal instinct in mothers and will increases lactation in nursing mothers. 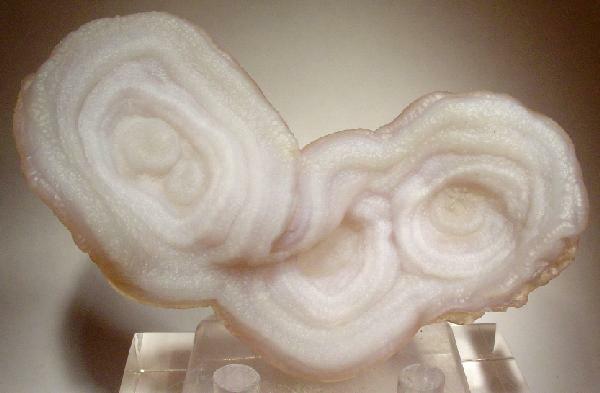 White chalcedony improves mineral assimilation in the body and will combat unwanted mineral build-up in the veins. ​Binghamite is a Chatoyant Chalcedony with fibres of Hematite or Goethite. It appears as bands of Brown, Gold and Red. Binghamite is a stone that is said to bring all manner of good things, particularly good fortune. It is also said to have the energies of fairies and elves, which is a very positive energy. In crystal work, Binghamite is used to communicate with the inner child. It is also used by meta-physicians for clair-audience and communication with other worlds. Physically, in crystal healing lore, Binghamite is used to regenerate energy flow in the body, renew cells, eases disease, Theta brain wave patterns, burns, convulsions, anaemia, and ear nose and throat problems. 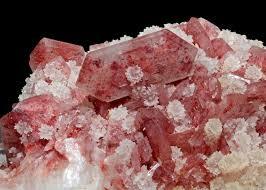 Binghamite is also used in crystal healing to energise and direct other minerals energies. 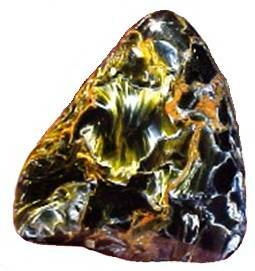 Bloodstone also known as Heliotrope is a green chalcedony quartz crystal flecked with red or yellow jasper. Bloodstone cleanses the blood and is a powerful healer, It has mystical and magical properties. It has the ability to banish evil and negativity and to direct spiritual energy. Bloodstone heightens the intuition and increases creativity. It is a grounding and protecting stone that keeps out bad influences. It also stimulates dreams and is a powerful energiser. 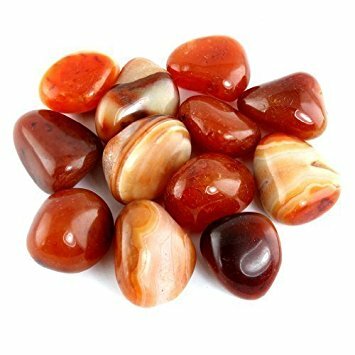 This potent stone is associated with honesty and integrity. It can be used both to promote a calm, tranquil atmosphere or to revitalise insufficient energy an invigorate the owner. As such, this is a great stone for mental exhaustion and depression. A potentially excellent addition to a prosperity spread or spell, it attracts prosperity, abundance and good luck. 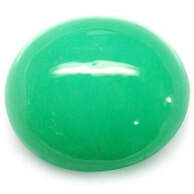 Use on the heart chakra to benefit sufferers of anxiety; use on the base chakra to help you if you are seeking prosperity. Bloodstone gives courage and teaches you how to avoid dangerous situations. It encourages you to adapt to every situation and come out on top. It grounds you in the present. 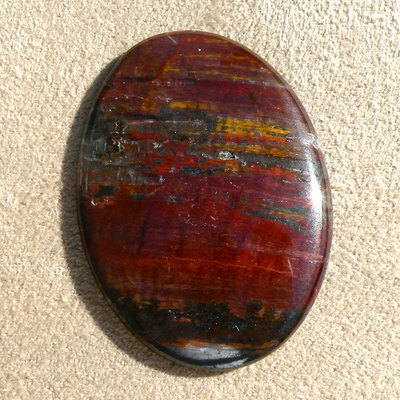 Mentally Bloodstone calms the mind, dispels confusion and enables decision making. It can energise you if you are mentally exhausted. It helps you to adjust to the unexpected. 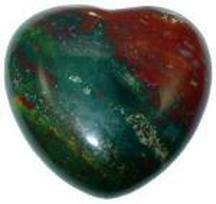 Bloodstone helps in grounding the heart energy It reduces irritability aggression and impatience. Spiritually bloodstone helps you to bring the spirit into you daily life. Bloodstone is an energy cleanser and immune stimulator for any rapid onset infections. It stimulates the lymph glands and the metabolic processes, revitalises and re-energises the body and mind when it is exhausted. It will help purify the blood. It detoxifies the liver, intestines, kidneys, spleen and bladder. Bloodstone benefits all blood rich organs in the body it regulates and supports the blood flow and aids the circulation. It is helpful for blood disorders such as anaemia, lymphoma, leukaemia, sepsis, haemophilia and blood clots. Bloodstone can be used to heal the ancestral line by clearing past hurts. It cleanses the lower chakras and realigns their energies. 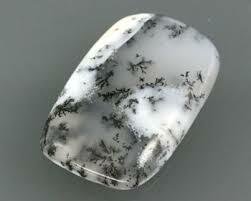 Merlinite is a dendritic included form of white chalcedony with inclusions of both potassium and barium. A lot of confusion surrounds the name of this stone. Merlinite is actually a made-up name for Dendritic Chalcedony. Sometimes the name is also applied to Dendritic Agate, and other times to the druzy form of a black mineral called Psilomelane, also it is sometimes sold as Dendritic Opal or Merlinite Opal but it isn't an opal. Merlinite is a magical stone that holds the imprint of the combined knowledge of shamans, alchemists, magician-priests, and other workers of magic. Its dual colouring blends the spiritual and earthly vibrations together, giving access to the spiritual and shamanistic realms. This stone supports shamanistic practices or magical ritual. It facilitates reading the Akashic Record, including travel into past or future lives to gain insight on how to live life in the future. Merlinite can bring magic into your life. Merlinite can be used for past-life healing and to bring harmony into the present life. It balances yin-yang and masculine and feminine energies. It balances conscious and subconscious with the intellect and intuition. Wear merlinite around your neck or place behind the ear to access past lives. Merlinite has been used in the treatment of skeletal structures and disorders of the veins and arteries. It is also said to promote physical growth and to facilitate the flow of blood through the body. It is a cleansing mineral for the body and one which can enhance lymph flow and excretion. It also helps with both the effects of colds and the effects of smoking too. Merlinite can help us to remain both open and approachable even though we may have suffered from bad experiences ourselves. It promotes better contact with our environment and with our fellow human beings too. Merlinite can also enhance our organisational capabilities.